In the workplace, no matter how large or small the number of employees, effective communication is key. But that doesn’t always mean it’s easy. 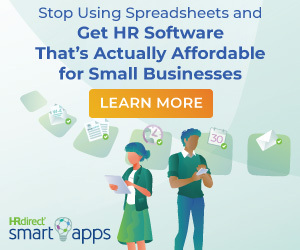 In 2015, it’s not unusual for employees to turn to Google Drive for document collaboration, Skype for video chat, Dropbox for file sharing, and other tools yet for email and messaging, making team collaborating an exhausting effort. Thankfully, as businesses are becoming more social, so are the communication solutions available to them. 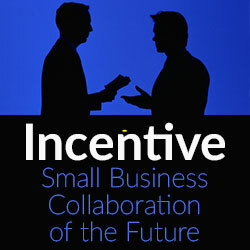 Incentive provides an all-in-one social collaboration platform that takes all of these necessary workflow tools and houses them under one convenient – completely secure – roof, making it easier than ever for small business teams to communicate and collaborate with one another for truly social business. Incentive embodies the look and feel of social media networks that small business owners and their teams already know and love, enabling coworkers to easily engage with each other. Employees already spend time networking via Facebook, LinkedIn and other popular platforms; why not bring that kind of social collaboration directly into the workplace? By allowing users to like, comment and share information just as they would on their favorite social media networks, Incentive enables truly social business for optimized collaboration success. Oftentimes, certain conversations are more effective when had in person, but that’s not always possible in today’s business world, as the workforce becomes increasingly remote and mobile devices enable work from anywhere at any time. Incentive enables easy, integrated video conversations between coworkers, making face-to-face contact possible, no matter where in the world employees are located, directly through Incentive’s platform. With no need for plugins, downloads or integrations, video conversations are available to users on both mobile and web desktop browsers. Organization is key to effective collaboration. That’s why everything in Incentive exists in ‘spaces.’ Whether it’s an annual budget, employee schedules, monthly invoices or marketing research information, spaces can be created for different projects, subjects and/or departments as needed within the business. By creating and maintaining spaces, all of which are searchable from one, single search field, Incentive also helps businesses to establish a collective braintrust of important documents, information and collateral. Incentive works to make true social collaboration not only possible, but also simple for everyone in the organization to take part in. By housing wikis, blogs, file sharing and more in one place, cross-collaboration has never been easier. Document collaboration through Incentive enables users to work together on a single document, drafting and editing in real-time, without having multiple work versions floating around. Employees no longer need to suffer from ‘platform fatigue,’ switching between several different apps to complete important tasks and projects. Instead, Incentive provides employees with everything they need to get the job done, all in one easy-to-use and secure place. Just like someone might chat with a friend on Facebook, Incentive’s chat feature enables employees to communicate one-on-one and in real-time. This feature is especially great for short and sweet messages that don’t necessarily require an email, questions that need to be answered as soon as possible, or for coworkers that simply want to say hello. Business owners are busy, and so are their employees. Although social collaboration tools may be useful, onboarding each and every employee into a new system can often be a daunting task – and a step that often holds business owners back from taking the plunge. But with the help of Incentive’s ‘Getting Started’ Guides, becoming acquainted with how each feature works is simple, making it easy for teams to start collaborating immediately and with ease. And with an intuitive user interface that mimics social networking sites, teams don’t need to learn how a new program works. Excellent team coordination and communication is essential to building a business that reaches goals and achieves success – and social collaboration tools can help. Through video chat capabilities, spaces for optimized organization and social networking features, business owners and their entire team of employees can keep one another in the loop and work together more effectively than ever. 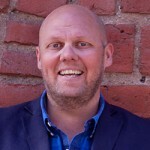 Rickard Hansson is the founder and chief executive officer of Incentive, a socially powered enterprise collaboration platform designed specifically for mid-market organizations and enterprise teams. With more than 15 years of experience in the IT industry, Rickard is a serial entrepreneur and self-taught programmer who created Incentive in 2008 based on his belief that internal workplace communication should be a social and collaborative experience. Prior to founding Incentive, Rickard started Mindroute Software in 2002, where he developed Lemoon, a user-friendly content management system (CMS). Within three years, Mindroute became the second largest CMS firm in Sweden, boasting 100 to 150 new clients per year.